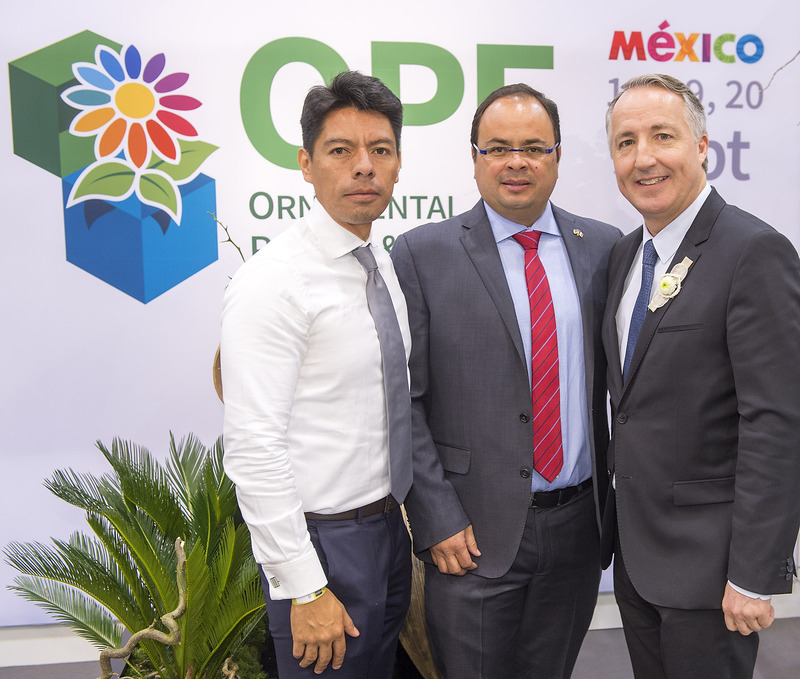 The world’s leading fair for horticulture IPM ESSEN is continuing its international growth: From September 18 to 20, 2019, Ornamental Plants & Flowers MÉXICO powered by IPM ESSEN (OP&F) will be open in Mexico City. The new fair in the Centro Citibanamex will be organised by AM Expo & CEPOMAC with Messe Essen as the cooperation partner. OP&F powered by IPM ESSEN will be supported by the Mexican Ministry of Agriculture. The range on offer at OP&F will encompass Plants and Flowers, Technology and Innovations, Floristry as well as Horticulture and Landscaping. On the visitor side, the new event will be intended, above all, for plant breeders, landscape architects as well as gardeners and florists. From now on, exhibitors can register online: international@messe-essen.de. “Ornamental Plants & Flowers MÉXICO powered by IPM ESSEN will be the new strategic meeting place for horticulture in North and Central America. Thus, we will offer European exhibitors the path into a highly interesting market,” Oliver P. Kuhrt, CEO of Messe Essen, described the benefits of the new event which is to take place every year. After China, Russia and the United Arab Emirates, Mexico will be the fourth country in which IPM ESSEN will have an international offshoot. The location of the metropolis is also in favour of Mexiko City as the fair venue: 70 percent of the Mexican plant producers are at home in the surrounding production regions a maximum of three hours’ drive away. Moreover, exhibitors and visitors will profit from Mexico’s proximity to the USA as one of the largest consumer markets for horticultural products. Ornamental Plants & Flowers MÉXICO powered by IPM ESSEN will come across economically fertile soil: Mexico is Germany’s most important trading partner in Latin America. Moreover, the European Union and Mexico have abolished all customs duties within the framework of a free trade agreement. Is Agritech the Solution to Food Security Issues?